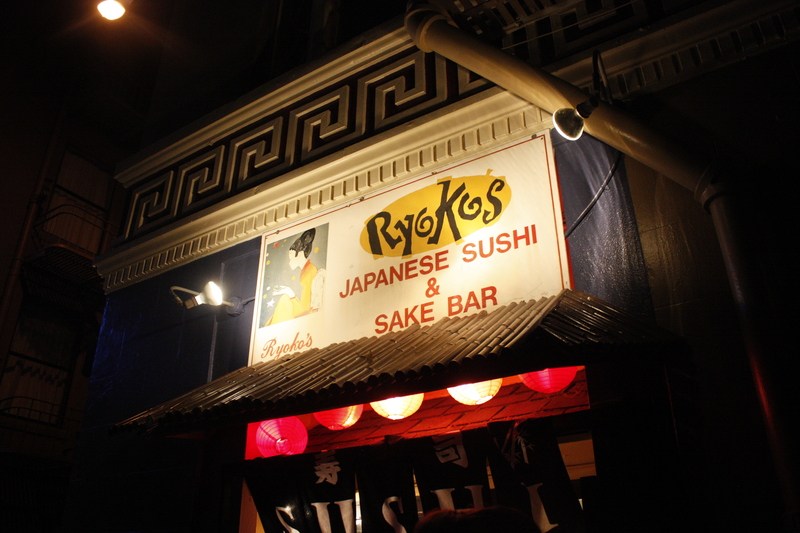 Ryoko is a kitshy Japanese sushi restaurant and sake bar, located in Nob Hill. The restaurant is quite popular and we had to put our name in and wait for our seating. In the back of the restaurant are semi private rooms and there are several groups enjoying sake bombs. 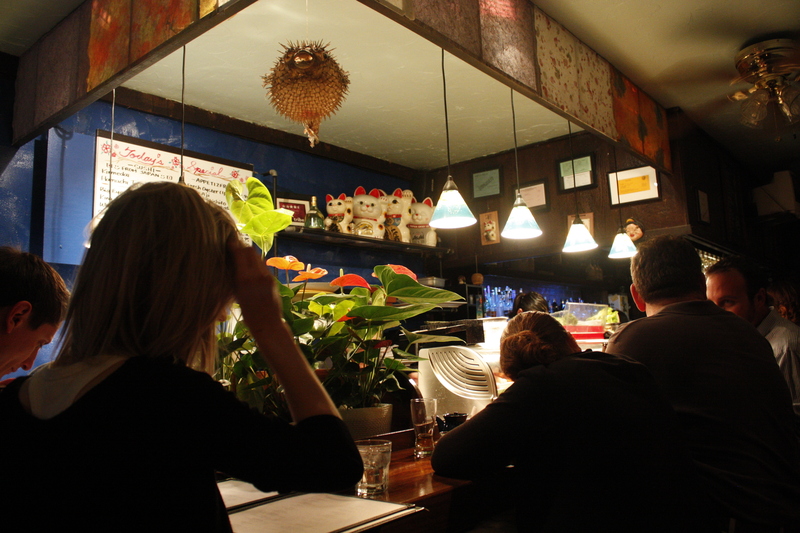 The bar area features a hanging puffer fish and ceramic Japanese cats. The restaurant also has a baby grand piano in the dining room. 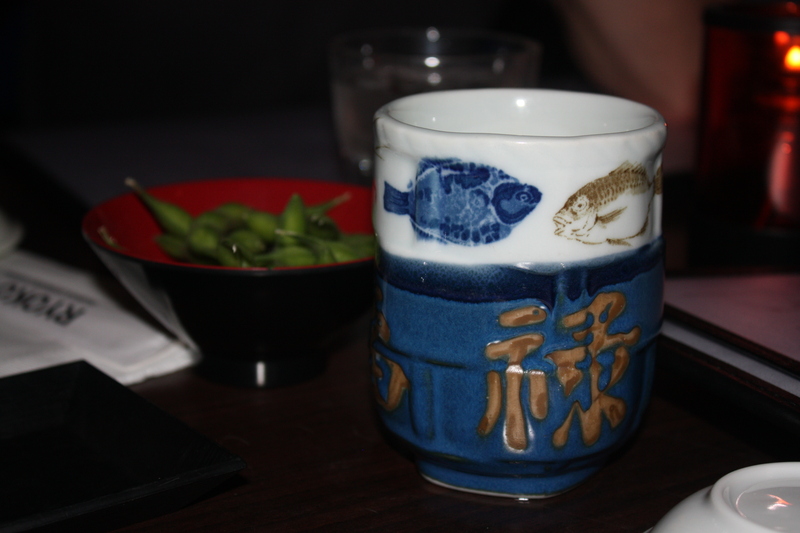 We started our meal with a warming glass of hot green tea with brown rice ($2.00) and some edamame. The boiled soy beans were lightly salted for $3.50. 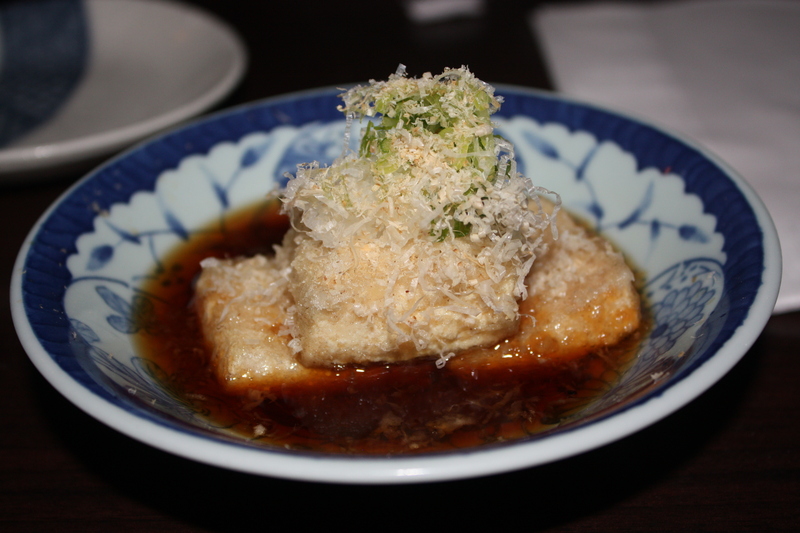 We really enjoyed Ryoko’s agedashi tofu. The fried tofu with bonito flakes and scallions in tempura sauce ($5.00). 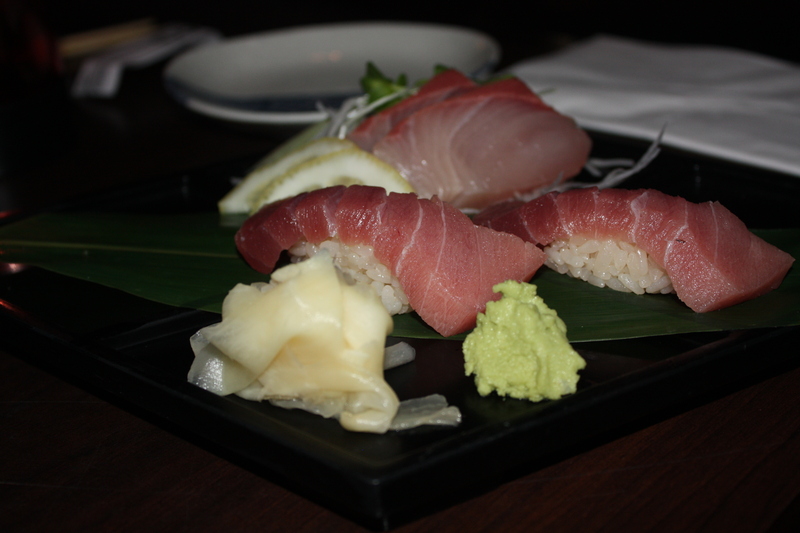 The mebachimaguro (Big eye red tuna) and Fatty Tuna (toro) seasonal sashimi were both melt in your mouth and amazingly fresh. 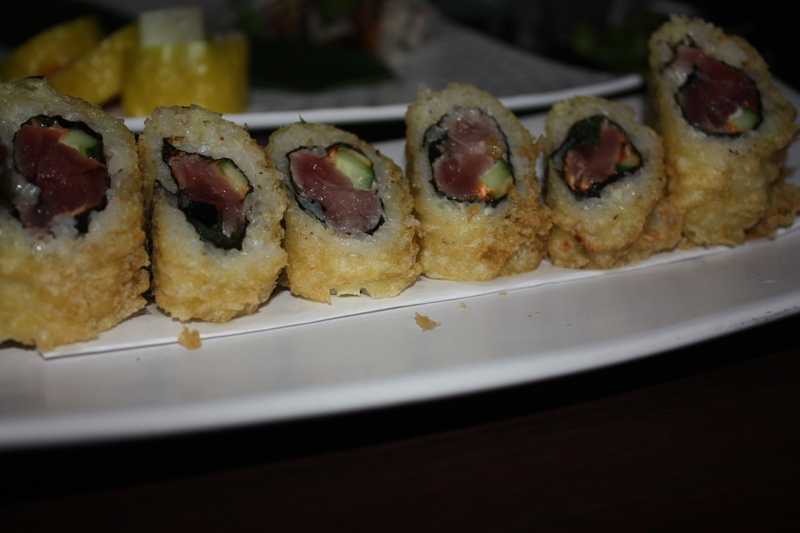 We had to order a second order of the Big eye red tuna. 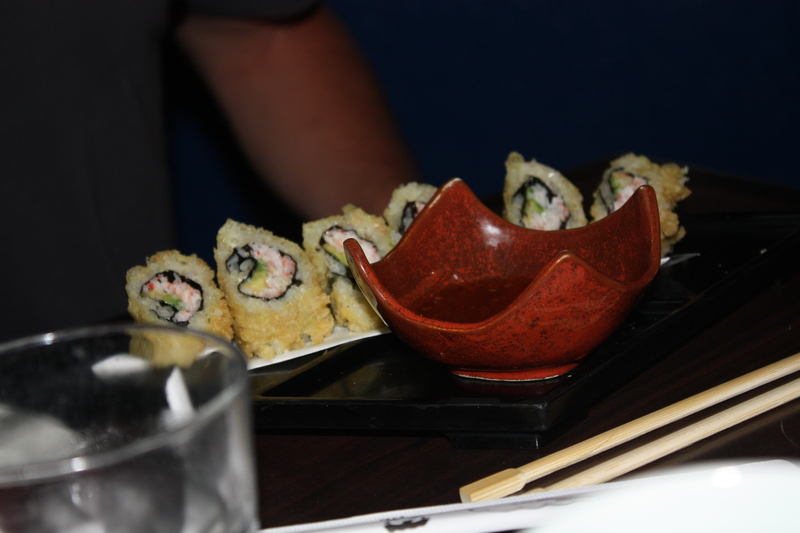 The Jumping California was Crab and avocado rolled was fresh and creamy and even more decadent when deep fried. The center was now warm and lush for $7.50. 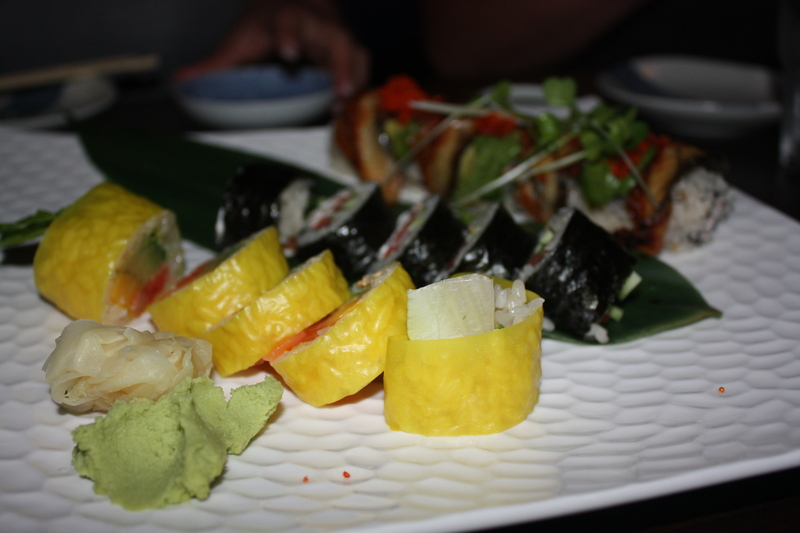 The Dragon roll with Crab and cucumber with avocado, roe, and BBQ eel on top ($12.50) and the Pokemon roll with Salmon, mango, avocado, and green leaf lettuce, wrapped with soy paper were fresh and well crafted ($11.50). 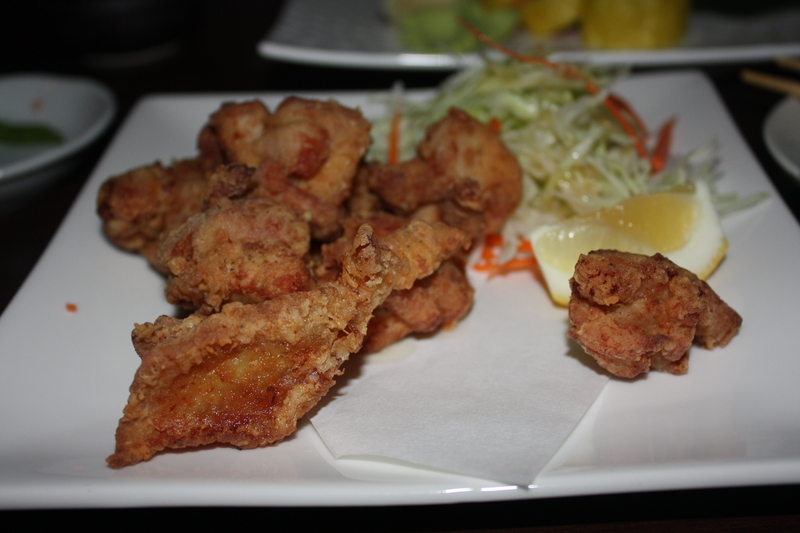 The chicken karaage or Japanese styled fried chicken was wonderfully tender with an airy crisp exterior. With a sprinkling of lemon, these chicken karaage disappeared in seconds ($8.95). 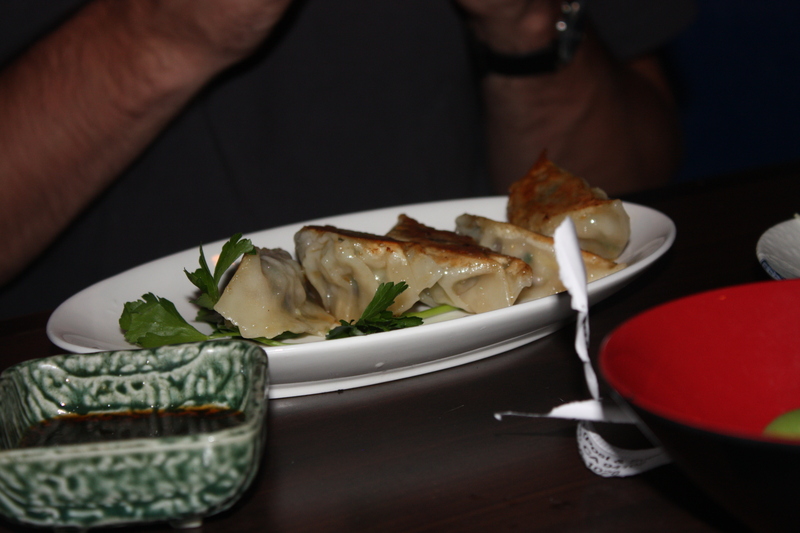 The homemade pork pot stickers ($6.00) had a nice crust and tender pork dumpling inside. The Jumpling Tuna with spicy tuna, cucumber, and shiso was a fantastic combination and after being deep fried, the tuna and shiso melted even further and then offered a crispy textural contrast ($7.50). The wait time for our meal at Ryoko was exceptionally long (almost an hour) and although our meal and the sushi was fresh, unique and well-executed, it is better to visit on an off time. I wish I had a plate of that Japanese fried chicken right now!